Swirl Time opened it doors across the street from Sonoma State University in January, 2011. Swirl Time is not a chain as many have asked but a single store operation. My name is Karen Bradley and I am the owner of Swirl Time. 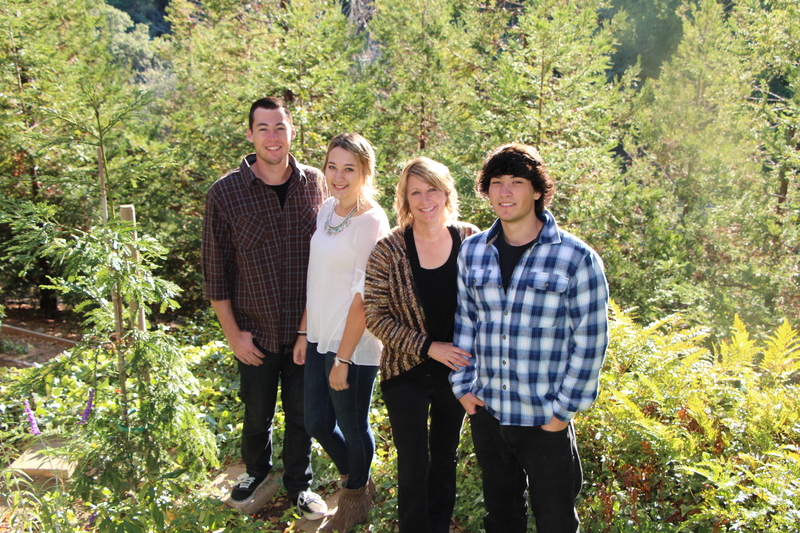 I am a single Mom of three grown children and have lived locally in Petaluma since 1989. I co-owned a chain of video stores in the 80’s called Bradley Video. I searched for many years to find another business I would love as much. I was watching a local TV show and it featured a self serve yogurt stores in the South Bay. It was love at first sight. I loved the fun creative concept and I just knew this was the perfect business for me to open. My hopes with Swirl Time was to create a business that would bring happiness to all those that entered the store. The self serve concept is such a fun experience allowing you to create whatever mixture you can dream up. The store is decorated in bright happy colors. I wanted Swirl Time to be a comfortable social gathering spot for family and friends to socialize. I so-rounded the store with lime green rocking chairs so that it would create a relaxing atmosphere for customers to sit in the sun and rock the day away. Swirl Time offers quality toppings and yogurt. We only bring fresh fruit in, never frozen. We bake daily onsite fresh cones, chocolate chip cookies and brownies. We are also known not only for our yogurt but our unique soft serve Gelato’s. Our most popular flavor is our famous Oatmeal Cookie Gelato. If you have never tried it before It’s a must! We pride ourselves on the cleanliness of our store. I am approached daily by customers who compliment the Swirl Time staff and want to let me know what a wonderful job everyone does cleaning. I also take pride in hiring friendly employee’s. I feel they represent me and my belief is to always be kind. My hopes are that every customer that enters Swirl Time’s doors leaves with a smile.